Grand Rapid's student-run version of the national "March for Our Lives" attracted thousands of participants on Saturday, March 24. This type of turnout served as a blunt contradiction to the image of teenage uselessness painted by politicians and others who have outspokenly doubted the power of today's youth to participate so actively and effectively in the political sphere. Just recently, Mississippi passed a bill that gave the state the strictest abortion laws in the U.S., banning most abortions after 15 weeks. (A day after the bill was signed, a judge temporarily blocked it until more arguments could be heard.) Besides being considered unconstitutional by many, this bill represents nothing but an arbitrary limitation on women who need help. Proponents of this agenda like to claim they are protecting the unborn and that these little lives matter, but I would argue that they are missing the bigger picture. From youth sports to weight training, I have always been interested in fitness. To me, working out is like therapy; the gym is where I go to push my personal boundaries and to better myself. Of course, a very important part of fitness is setting goals, and to be perfectly honest, I wasn’t very good at goal setting until just recently. On Tuesday, March 20, Grand Valley State University announced the members of the president search advisory committee (PSAC) tasked with finding President Thomas Haas' replacement. Made up of faculty, administration, one student representative and others, the committee will assist a hired search firm to find the institution's next president. In the midst of the national school walkouts on Wednesday, March 14, the National Rifle Association exhibited a lack of class by tweeting a defiant post that included a picture of an AR-15 rifle. 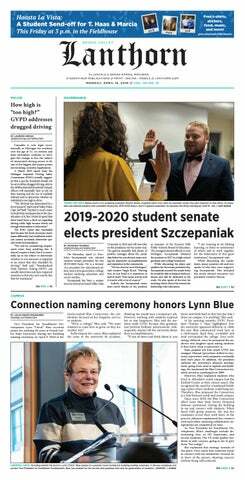 During the selection process for the next dean of students, Grand Valley State University administrators should learn from last year's provost search and be transparent with their final pick. It is remarkably easy to distance ourselves from the problems that other people face. When trouble isn’t knocking on our own door, we tend not to notice it at all. Even global issues such as genocide seem to do little to rouse individuals, the government or the country as a whole. Still, genocide is a present and prominent part of the world we live in today, and we can no longer turn a blind eye. If you haven’t heard, Toys "R" Us is officially closing its doors forever after the company’s September bankruptcy filing was followed up by a financially disappointing holiday season. Parents and children across the country are mourning the loss of such a beloved chain (though apparently not beloved enough for people to actually purchase its products).